by Peter Kingsford c. 1995. Just over 40 years ago, one got off one's bike and pushed it up Moffats Lane. It was impossible to ride up for the Lane was a farm road, an unmetalled country lane with the north side lined with 1930s houses and the south side, farm land. When you reached the top, Moffats Farm was a working farm, though a small one, run by old Mr and Mrs Canham. 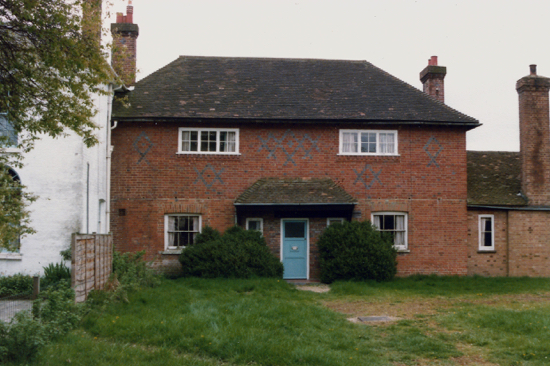 The farmhouse itself was not, needless to say, as spick and span as it is today. It had stood there for 500 years. 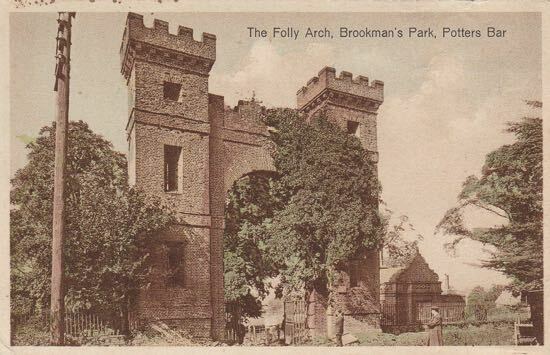 On the opposite corner stood a larger Edwardian house behind a high wall, now gone. Apart from Moffats, where the Colonel and his family lived, there were no more houses until you reached the metalled lane. On the right-hand side, an old lane led down hill to the old disused sewage plant, where boys used to explore. This was before the Parish Council bought Gobions Open Space and the whole area was wild and adventuresome. 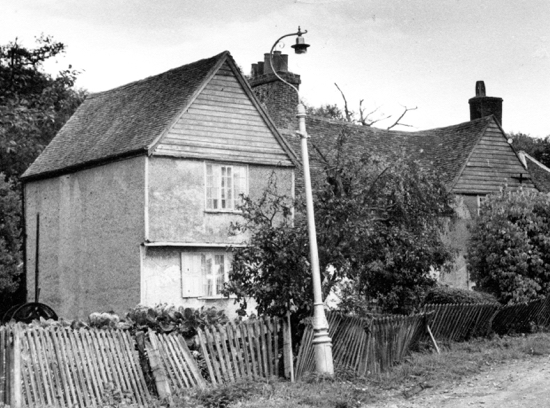 The top end of Moffats Lane had a number of building plots. 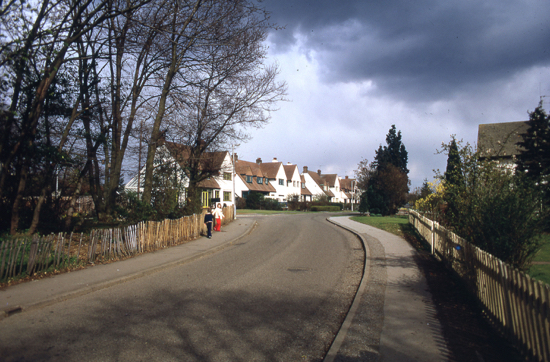 The Close and Moffats Close had not been built. It was all much more open and the views eastwards to the hills were extensive. Mymms Drive, at the junction with Moffats Lane was open ground. There were few cars about, I did not have one myself. 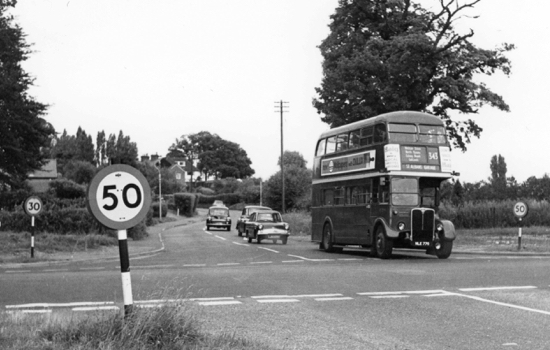 Every morning I used to cycle through Welham Green, down Dixons Hill Road to the traffic lights at the bottom and go up the A1 to Hatfield Technical College, which I helped Dr Chapman to open in 1952. Children walked or cycled to the Primary School, unlike the practice now. The school, opened only the year earlier, was presided over by the Welsh Mr Harris ("Harry Boy") who believed in the cane for small children. But there were some excellent teachers there, notably Miss Raine, and most of the parents got what they wanted, success in the 11+ examination. Shopping was too, of course, on foot or bike. 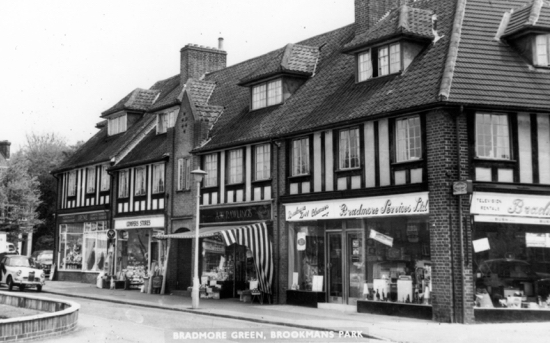 A high proportion of people shopped in Bradmore Green, for there were no supermarkets. WJ Duncum, the gaunt, energetic butcher, ran his shop very efficiently. He also taught Institute of Meat students at the Technical College. Bread was to be had at Harman's the Bakers, now Jan's Pantry. Plenty of fish was available in Linton's shop near the present pharmacy. Groceries were bought in Moon's shop where the insurance business recently was. 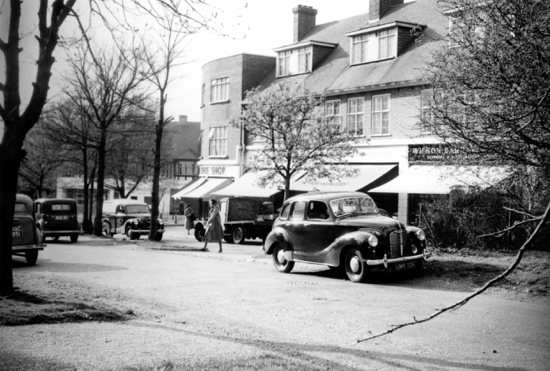 The pharmacy stood where it stands now, under Mr Coombes senior, as did the Spenholme's greengrocery. Thus all the basic needs could be met on Bradmore Green. Anyone who fancied a light lunch could enjoy it in the cafe run by two Scots ladies, where you can now get a Chinese take away. Or you could get a good cup of coffee there while you were waiting for the laundrette, a few yards away, to finish its work. 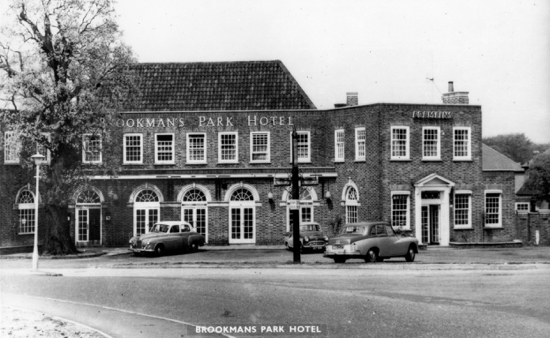 In any case there was nowhere else, for Brookmans Park Hotel hardly justified the name of a hotel. The public bar, now transformed into a comfortable place for good fare, was a noisome, dark, dingy den where the main attraction was the darts board. If you were a full time housewife, and most married women were then, you could get your hair done at Irene's and if you wanted some haberdashery, it was available from Mrs Jennings at the Wool Shop. You could get the children's shoes at the shoe shop and their clothing, more formal then, at the men's outfitter. Shoes, which were more repairable then, could be soled and heeled on the spot next door, and that went for the adults too. The men, before the days of DIY, went to Tycon's hardware shop and to the electrical shop where the Raj Tandoori now stands. Newspapers were delivered by Saxby's where stamps, etc were also sold. The County Library was also there, but if you needed cash from the bank you had to go elsewhere. 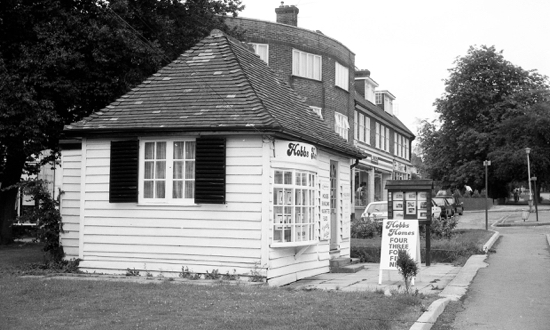 If you wanted to move, there was only one estate agent in the hut on the green; the spread of 'house for sale' signs and the proliferation of agents was to be in the future. 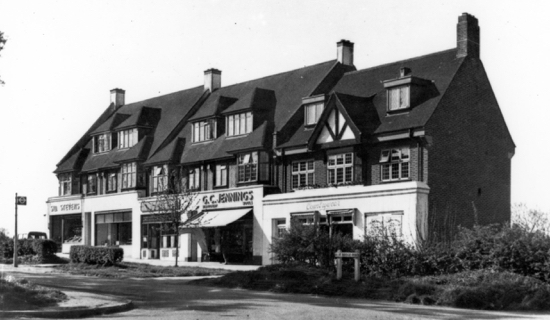 Bradmore Green was a better, more varied shopping centre then than now. If you felt ill, it required only a short wait in Dr Dwyers's little waiting room at the side entrance to his house in Brookmans Avenue for him to give you a prescription and some sound advice. Higher up the Avenue was Dr Royston. Although a consultant at Barnet Hospital, he would come via Dr Dwyer in an emergency, a service for which I was grateful. 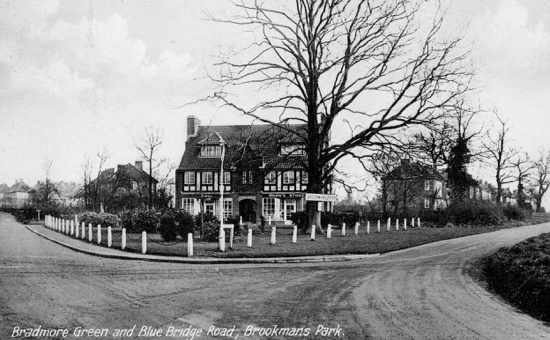 Altogether, Brookmans Park was a quieter and pleasanter place to live in than now. There was more open space, fewer cars, no school traffic rush hour, nor a commuter one, public transport was adequate, and the shopping more varied. Employment was more secure, 'house for sale' rarely appeared, and burglary was almost unknown. 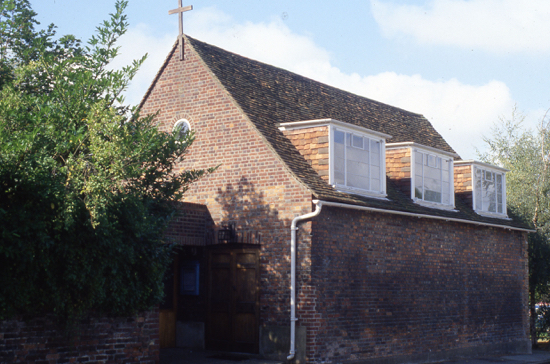 The churches were fuller and Brookmans Park had its own chapel, though the Roman Catholics had no church. One can look back on it with pleasure and regret. 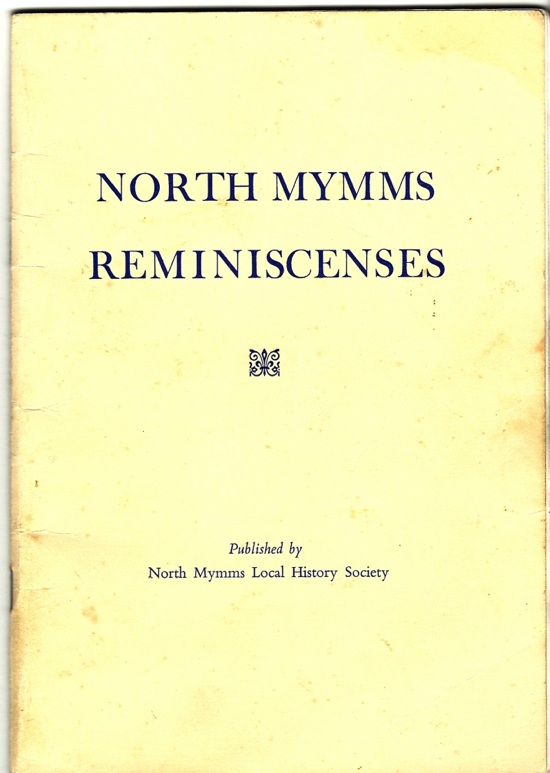 This article was written by Peter Kingsford around 1995, and appeared in a booklet called ‘North Mymms Reminiscences’ published by the former North Mymms Local History Society. 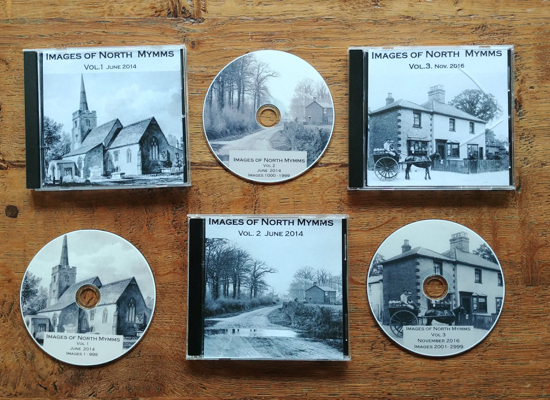 Photographs from Mike Allen's Images of North Mymms have been added to the piece to illustrate the text. In the piece, Peter Kingsford writes about a former teacher at Brookmans Park Primary school called Wilfred Harris who, Peter writes, "believed in the cane for small children". "mention to be made of the hard work and commitment that he, with colleagues and parents gave pupils and put into the school when it opened and over the following 20 years to make it a focus for the community - encouraging the building of the swimming pool (now gone) and the start of Village Day to name but two things." "a huge number of sad and affectionate letters at the time from former pupils, parents and colleagues. He rarely forgot a name or face and delighted in news of former pupils at the school, which he continued to receive until his death both from the former pupils and their families." Two local residents responded to Peter Kingsford's comments about Mr Harris in the old 'Have Your Say' section of The Brookmans Park Newsletter. The two contributions are published below. Another writer defended the author Peter Kingsford. 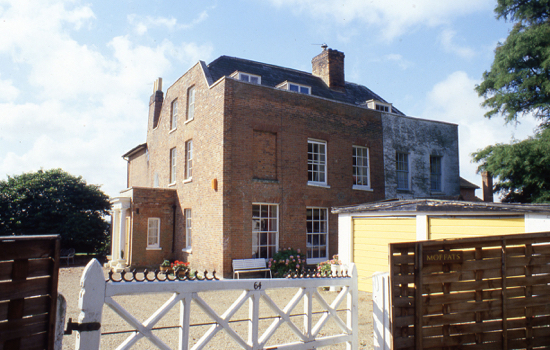 Both e-mails concerning the comments about Peter Kingsford's article were forwarded to the former North Mymms Local History Society (NMLHS) when they were posted on the site. The relative of Mr Wilfred Harris has also been in contact with the NMLHS.